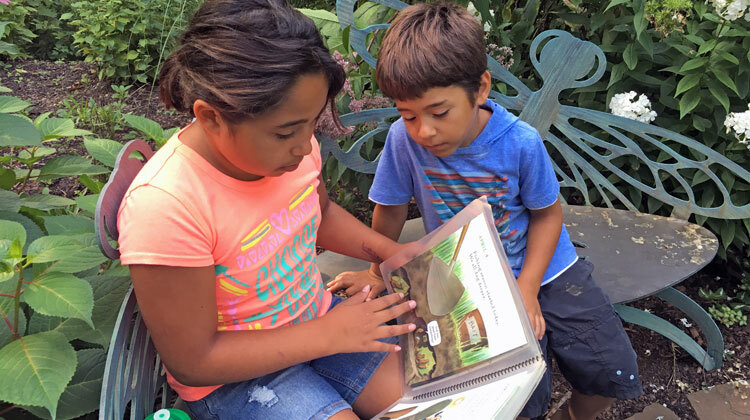 Immerse yourself in your favorite children’s book with a visit to Bookworm Gardens in Sheboygan WI. Or take a ride in The Magic School Bus garden at the US Botanic Garden from May through October. The importance of literature and gardens inspired Sandy Livermore to found Bookworm Gardens. This year it is being recognized as one of 14 distinctive botanic gardens that will be featured in the 2019 U.S. Botanic Garden special exhibit in Washington DC. The Magic School Bus Plants Seeds will be created to represent Bookworm Gardens at this exhibit. Don’t worry if you can’t visit Sheboygan or Washington D.C. Create your own literature inspired garden spot in your backyard. Perhaps you have a hollow log for Winnie the Pooh, a large trellis to grow Jack’s magic bean stalk or just a nice rock or bench for sitting and reading in the garden. A bit more information: Make garden planning a family event. Elect a favorite book then create a garden scene that represents a portion or overall theme. It may be as simple as hanging plastic food from the branches of the tree to represent the book Cloudy with a Chance of Meatballs.